Hospitality is our tradition which started since 1810. The merchant Ivan S. Petrenko bought this building and opened the hostelry where stopped officials and officers, who came to Kharkov for a business trip and the part of the retinue of Emperor Alexander 1 placed here. In 1820 Senator Gorgolik stated here during his commission in Slobodsko-Ukrainian province. Since 1840 the house was completed by the famous architect A.A. Tonn and belonged to the merchants Kartalov`s family. Single room with the possibility for 2 people accommodation. 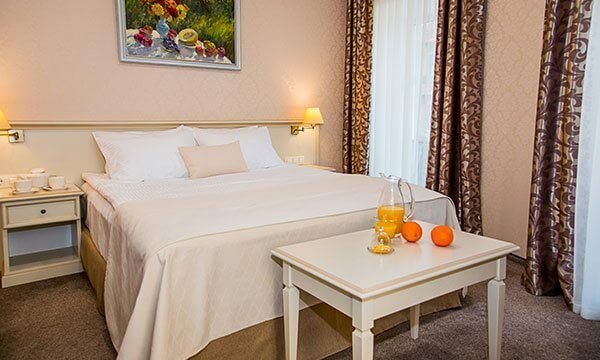 The room has a double-bed (140*200) with comfortable orthopedic mattress, the work area with telephone, mini-bar, tea/coffee set, writing materials, safe and Full HD 32”TV. The window is overlooking the back-yard. 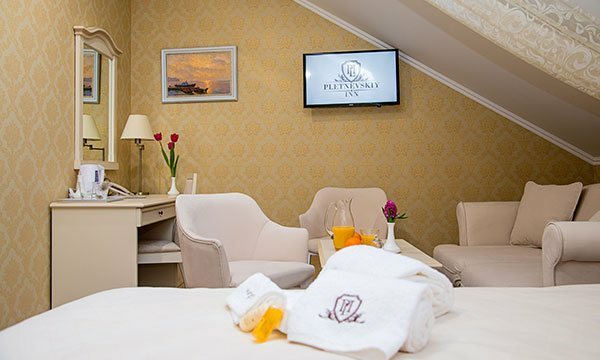 The room with heightened comfort has everything for your comfy accommodation and rest. 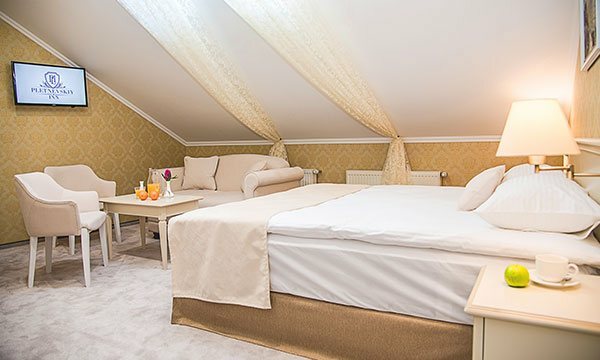 Comfortable single-rooms are decorated in warm beige colors. It is possible 2 people accommodation. It is specious and cozy single room. The room has a double-bed (160*200) with comfortable orthopedic mattress. 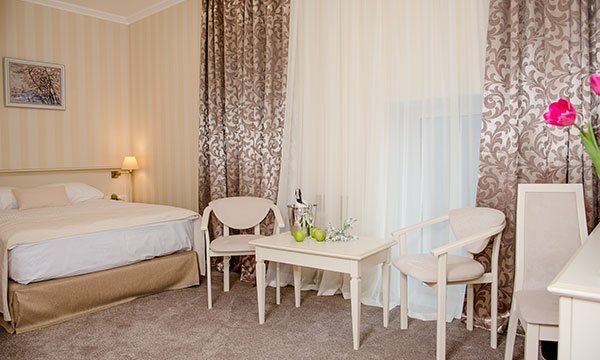 Double room premium with the luxurious interior in light beige and golden colors, exclusive furniture – all this helps to create an atmosphere of comfort for guests. Bright, spacious two bedrooms suite is decorated in warm beige colors and exquisite classical furniture.